In the previous post on this series of SQL Server Tips we’d looked at the Object Details SSMS option. 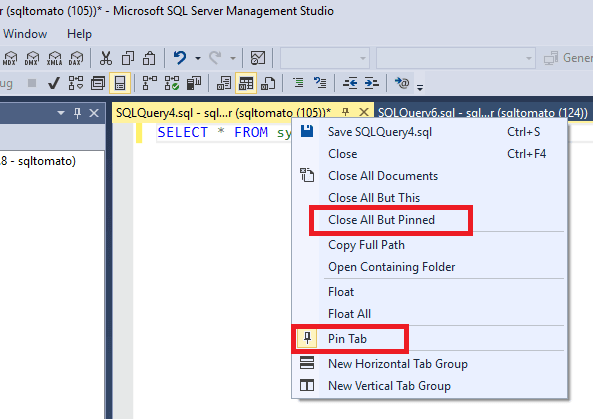 In this post we’ll look at Close All But Pinned SSMS functionality build into SQL Server Management Studio. This option becomes available after you have pinned a tab in the query windows. This is very useful if you’re working with many tabs on particular solution.